I myself have tried many of the Google+ "tricks," tested this and that, trying to isolate and understand many of the results. I'm one of those who came to Google Plus seeking "the power," more than people. I didn't know where the perceived ranking authority came from, or how to get it. All I knew is what most people figured, make lots of posts & get lots of followers, only to figure out later on it was neither of these. Here lies one of the biggest misunderstandings of the Google+ social media platform to enhance our Search Engine Optimization (SEO), it is just a platform and nothing more, it is a big empty shell. Google Plus does not have, nor give, authority of itself at all. Nevertheless it is an ingeniously crafted & unprecedentedly versatile social media platform, which when wielded properly has unlimited potential, for not only SEO, but also SMO, Internet marketing, content marketing, brand building, reputation building, reputation management, mass marketing and... anything else you want to make of it. For details on how the Google+ link structure works & how engagement is passed between entities, I will again refer back to my earlier research on this. ③ [Update 2014: These links are now "nofollow."] Links on your Profile's About page Links section. Of all the G+ links, these are likely to pass the highest authority & the most stable PR. The About page has it's own PageRank & these links not only flow PageRank (divided by the number of links there), but most importantly, may contain a keyword (don't stuff) title of your choosing. Unlike the Contributor-to section, these do not claim Authorship & can be used for any link you would like to share, on or off, Google+. ④ [Update 2014: These links are now "nofollow."] Links on your Business' About page Links section. Same as above, they flow PR, pass the most stable authority & may include a keyword (don't stuff) rich hyperlinked title. ⑦ Hyperlinks in posts also have affect on search ranking. However the PageRank passed in a profile stream, is not the same as you would expect on a traditional website. This is where some confusion arises when trying to measure links in specific numbers, and I'm going to talk about these specific search patterns later in this series. ⑧ Hyperlinks in posts in Communities, based on the PageRank of that particular subtopic. I have previously explained how communities are actually divided into individual streams of the topics, each of these having individual levels of authority. It has frequently been observed that a lower authority Profile's post in a high authority community, will typically outrank the lower authority's post in his own stream. ⑨ Reviews may provide ranking benefit to the page, or locality reviewed. Does this happen through the follow link address on the page (if public), or is there likely another factor, since reviews may also be negative. Unknown? It behooves us to assume however that there are specific Places algorithms that operate on top of others. Regardless of this, positive reviews will undoubtedly have a positive affect on click through behavior by the inquirer. Within this broad topic of Google+ SEO, I'll be talking a lot about G+ Profile & Business Page authority, PageRank, backlinks & other technical aspects, but the real life social aspect of all this is the biggest takeaway to remember. So please watch this 7 minute excerpt of an interview I did last summer with the amazing Martin Shervington, on how all the Google+ optimization we're talking about here, is just genuine Social SEO, it's all about making a connection with real people. If you're within Google+ and you are looking for the power of Google+ or the Google "link juice." Then all that comes through engagement with other people within Google+ and it all happens naturally, just by way of them mentioning your name or sharing your content. And this is the brilliance behind it. It is a social experience. Isn’t it? And who you are connected with and who you relate to and who you are interacting with. And the more positive those flows, the more likely it is that your content then gains weight or then if they are sharing it, they will then more likely get that content into search. So this is natural. Totally organic. Whatever it is, you create that network and in the real world it’s just a lot of words going back and forth. But in the digital world, it’s actual, traceable links that represent numbers and this all means something, and the authority means something, and the quantity means something, and the content means something. It’s all significant within the digital world. As a follow up to this & for anyone who's new to this topic that might be wondering what on earth we're talking about when we say Profile Authority, or Google+ PR, or link shares through engagement, the in-depth story is in the following series of articles I wrote last summer called Google+ PageRank - Part 1-6. Ⅰ.Is Google+ PageRank behind the current suspicions of AuthorRank? Ⅱ.How PageRank in Google+ is Earned. Link Myths Busted! Ⅲ.Why PageRank in Google+ Matters To You & Your Connections. Ⅳ.PR in G+ - PageRank is Still The Guts of Google Search. 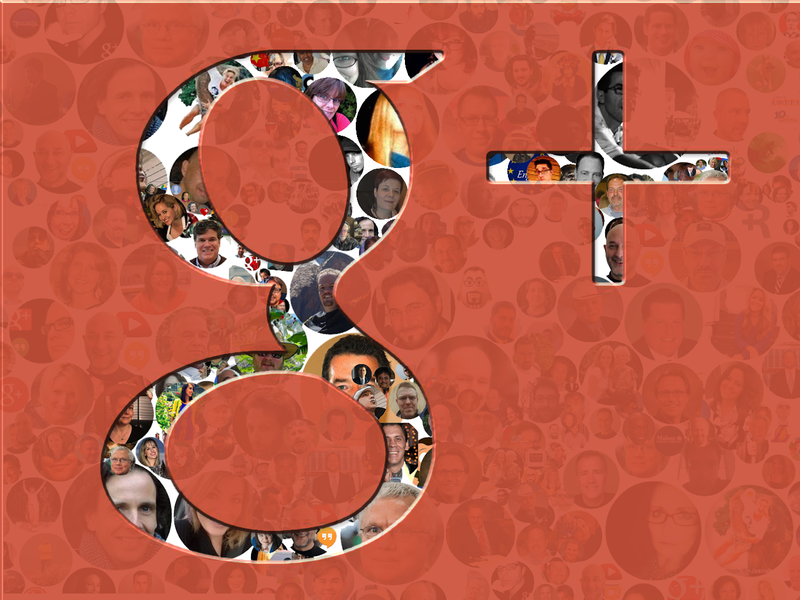 Ⅴ.PageRank, Link Juice & SEO for Google+ Communities. Ⅵ.Balance Returns to PageRank. Avoid The Dark Side. Nice information!! Thanks for the useful informatioon..